My brother is a diver and he loves octopuses, he even has a big tatoo of an octopus all over his arm. 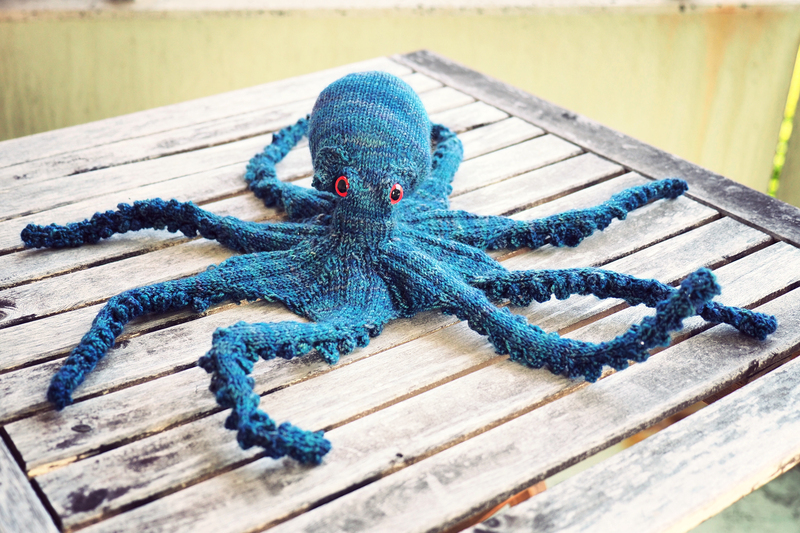 So it came as no surprise when he wanted me to knit a toy version of his favourite animal. 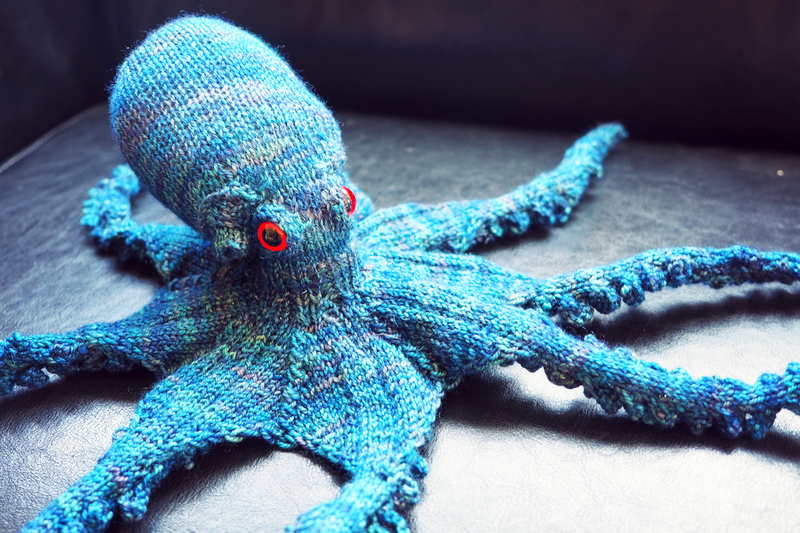 It took me a while to find a pattern that didn't look all childish and boring, but then I found the Omniscient Octopus. I could tell it was going to be a challenging knit, but I had no idea how much so. This was probably the most difficult thing I ever knit and also the one I kind of regretted starting most. 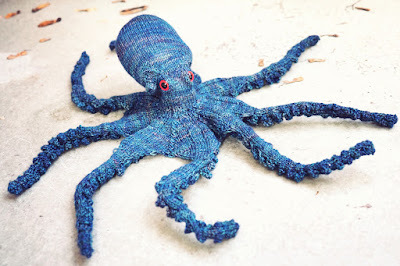 To knit this octopus you have to survive lots and lots of suckers, I think there are about 300 of them, which are done by casting on stitches and then casting them off again right away and then you catch the suckers on the next two rows, before you start the next one. The whole time I was knitting I had to be really focused on what I was doing and I was never really sure if what I did was the way it was supposed to be. After a while I'd gone to far to stop so I pushed on but I was really close to giving up many times. The thing that really kept me going was that it looked very realistic and also very cool. At the end you add chenille sticks to the arms before you close them and then the octopus can me formed it every shape you want it to. I added these really intense red eyes which are slightly creepy but I love the way they look.